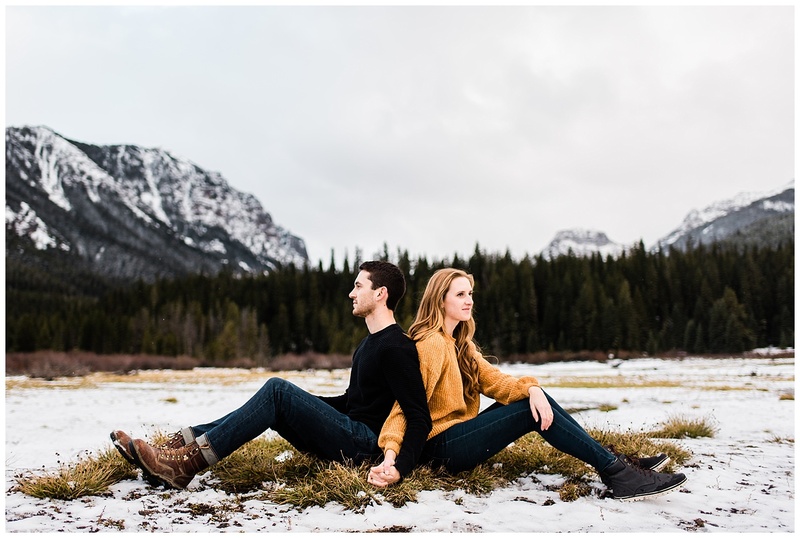 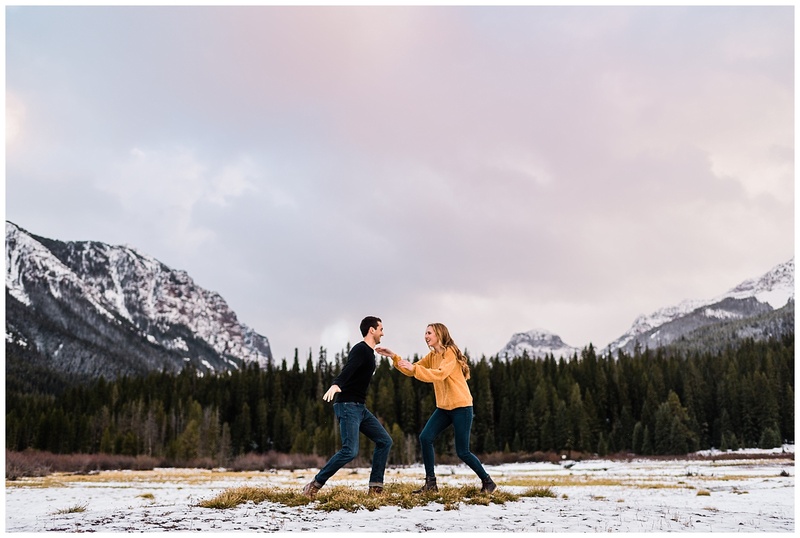 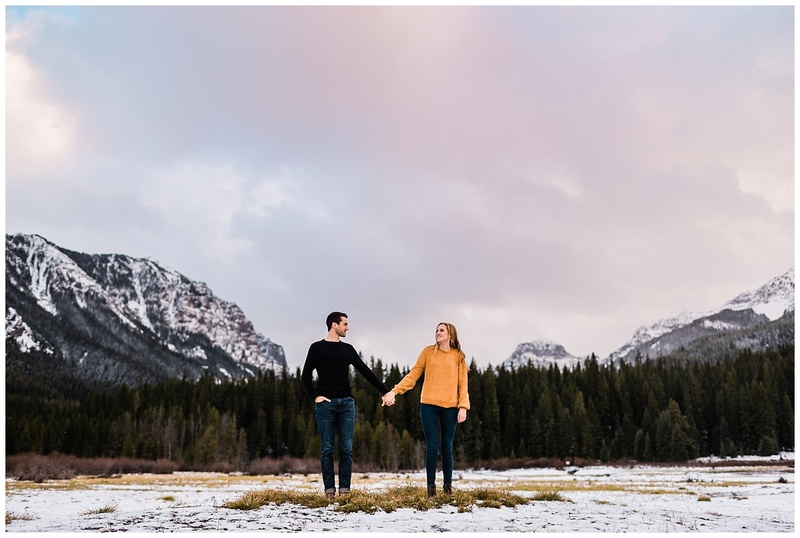 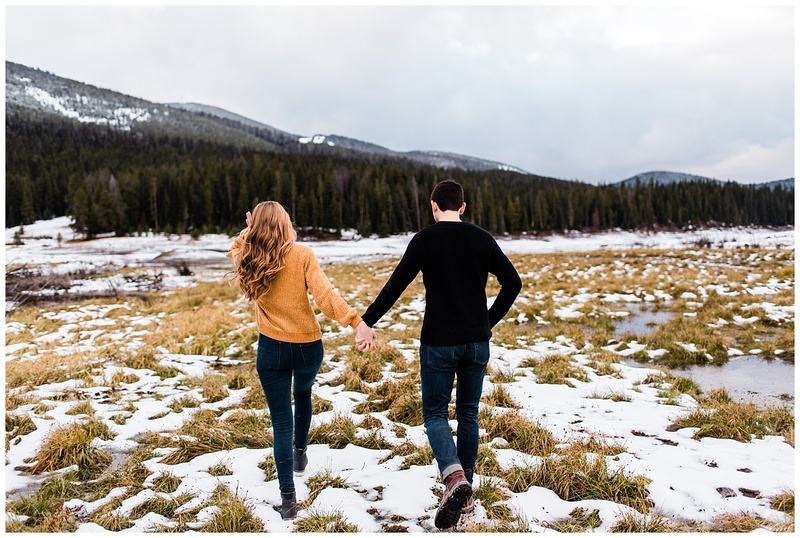 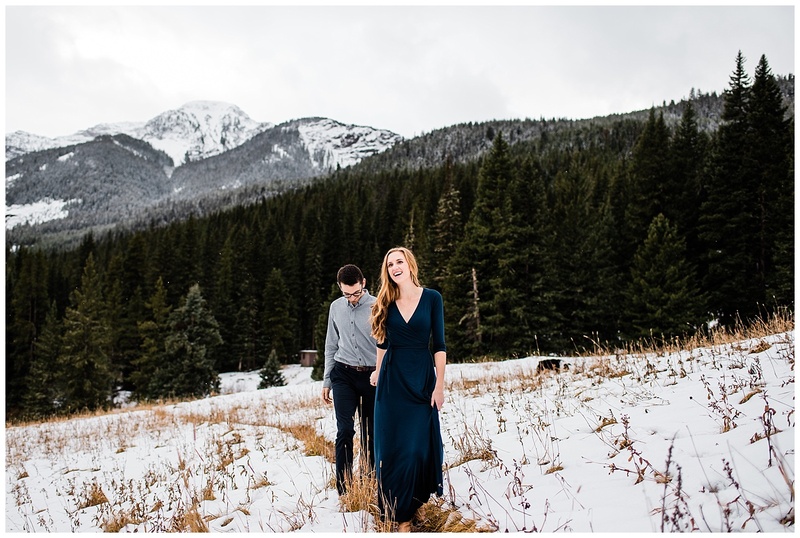 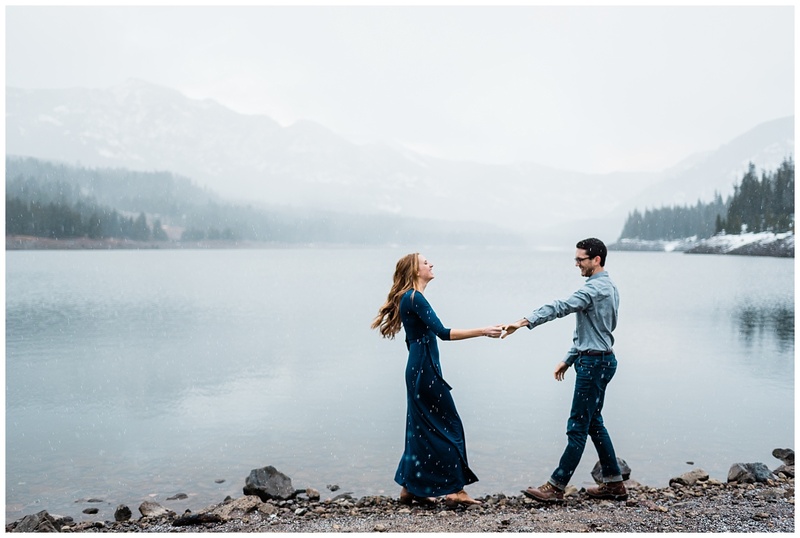 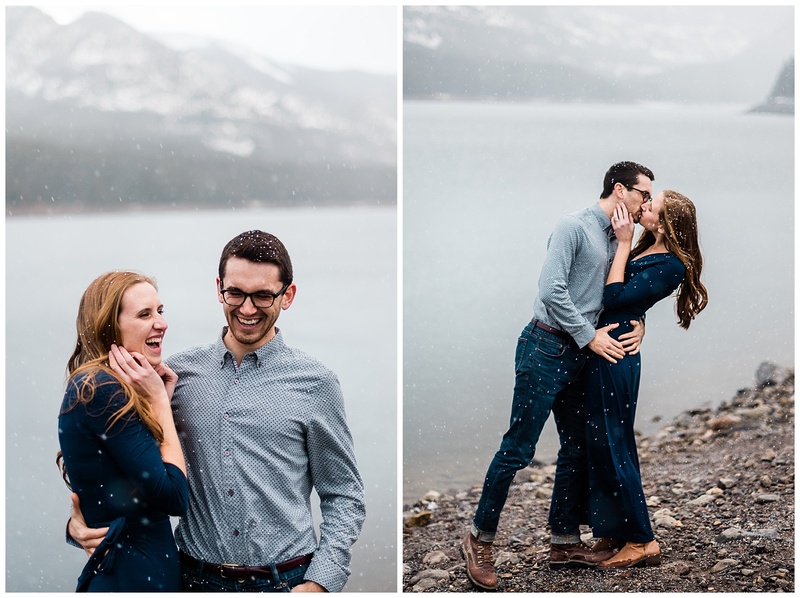 We made a detour to Bozeman for this shoot on the way home from our long roadtrip, and it was our first time visiting this little corner of Montana, and I gotta say, it was friggin great! 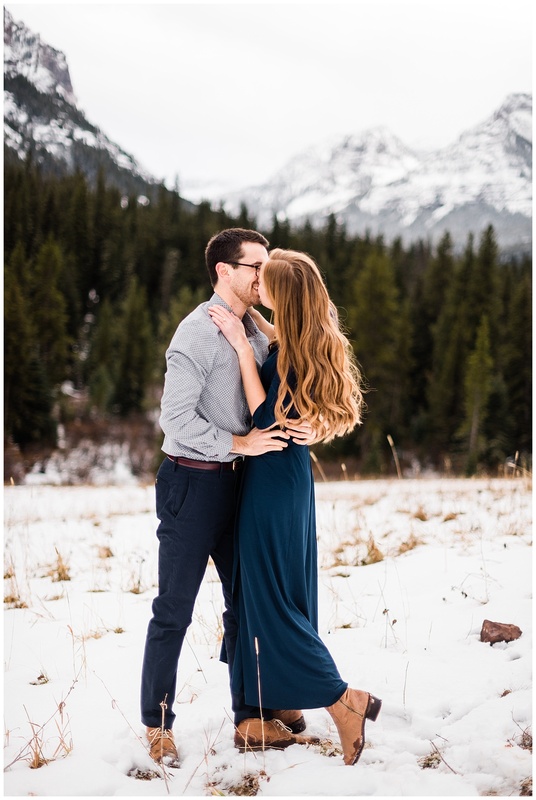 After staying in an adorable cabin, we stopped in downtown for quite possibly the best brunch of my life. 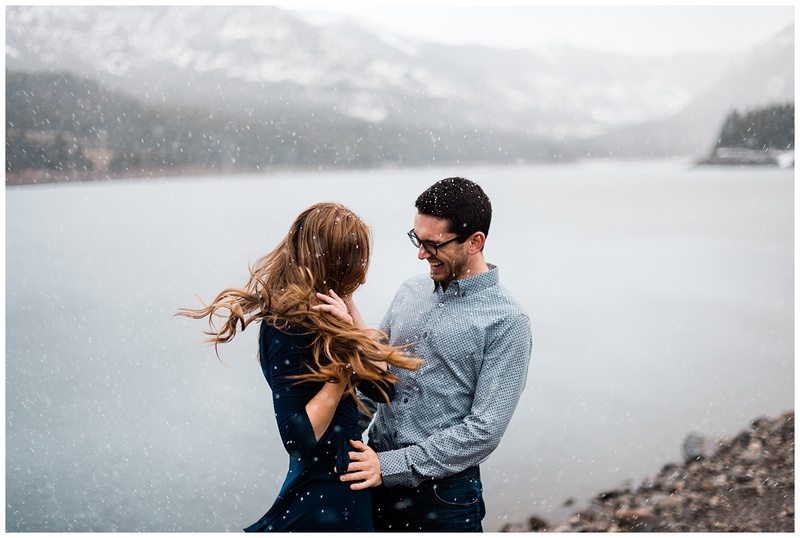 Since we only had a few hours to scout, We wandered around the gorgeous Hyalite Reservoir before our shoot. 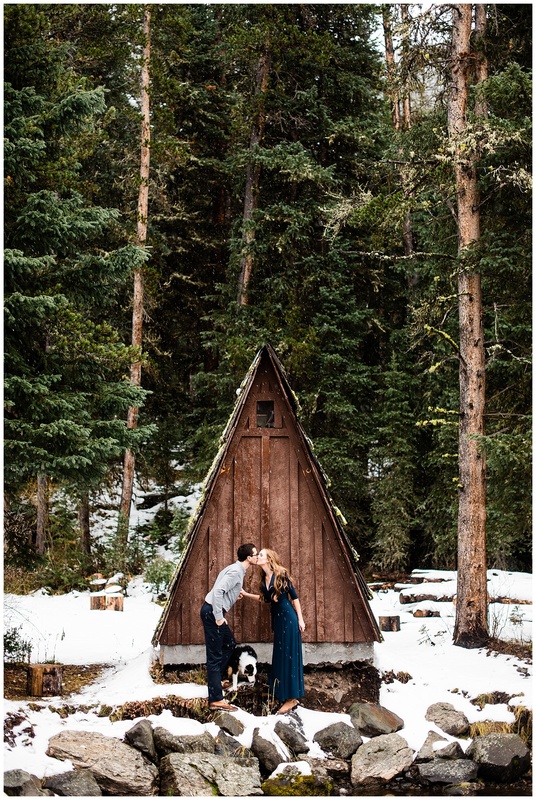 We were hoping to do a few easy hikes, but the snow was falling thick & fast and we decided to pull out the camp stove & just make some hot chocolate and admire the gorgeous view instead. 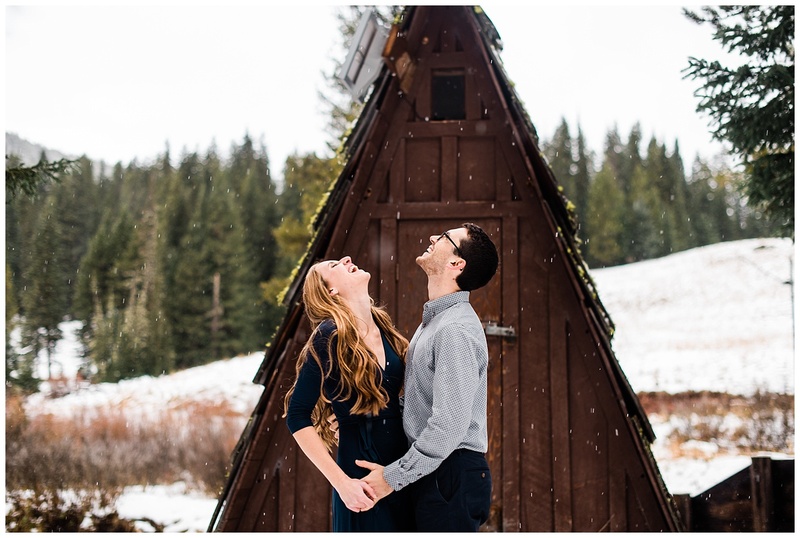 Once the session rolled around the weather held pretty beautiful (well, all the way till the end anyway!). 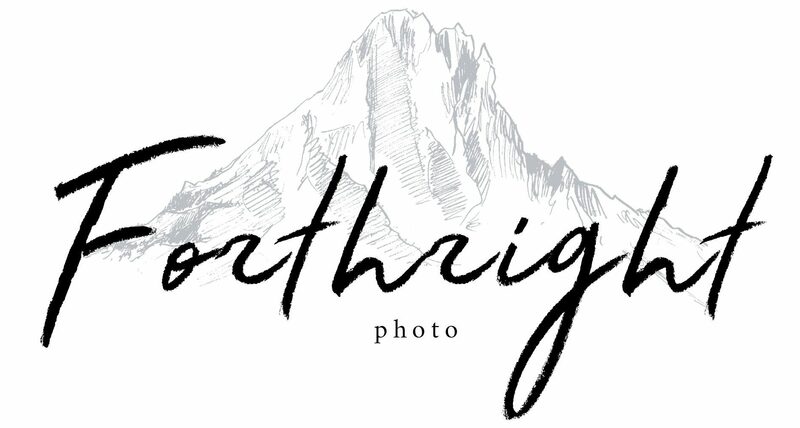 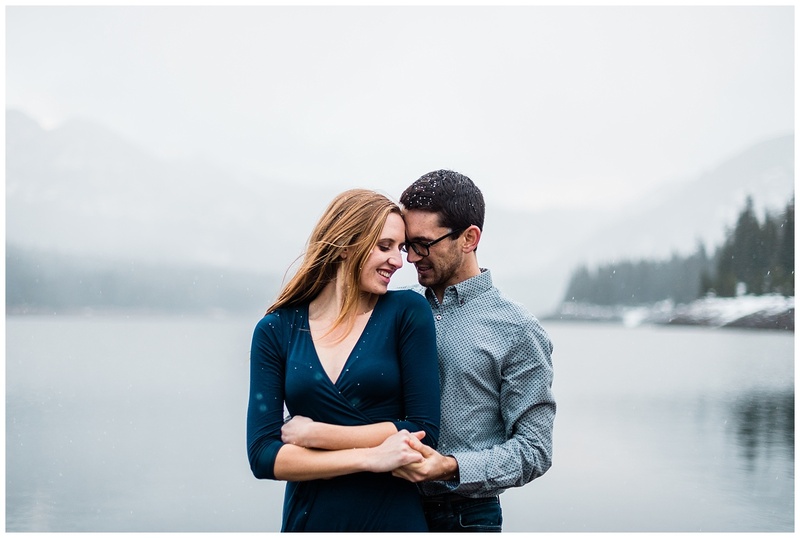 The first time we met this adorable couple was when they pulled up to their session, and I was pretty nervous. 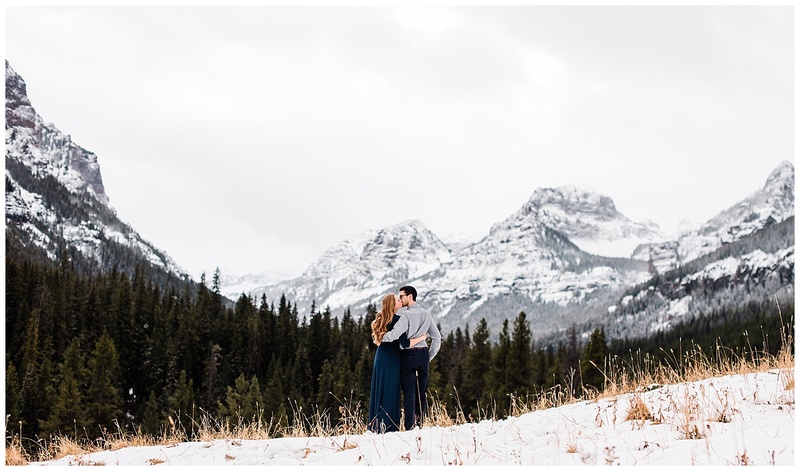 It’s usually a little weird to go straight from the hellos right into “Hey, can you make out in the freezing cold while I take pictures?”, but from the moment that they introduced me to their six month old bundle of adorable fluff to the moment they told me they had already scouted the entire park for the best mountain views a few days before, I knew it was gonna be a great time. 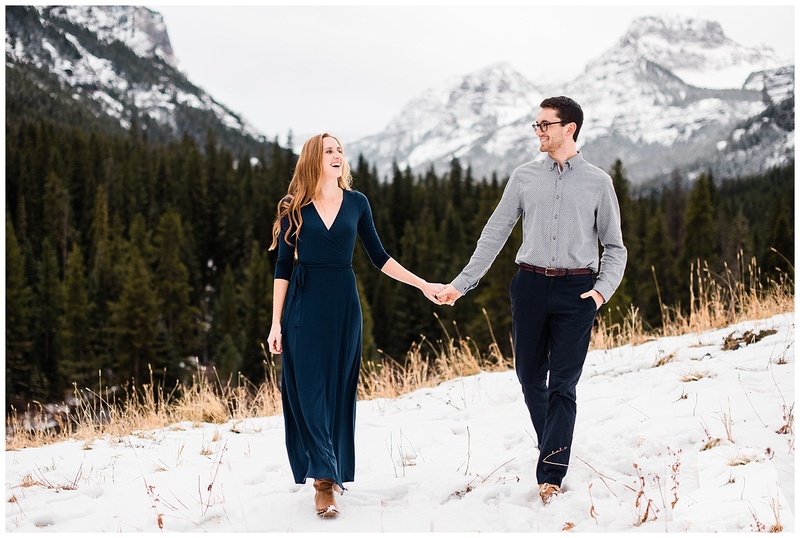 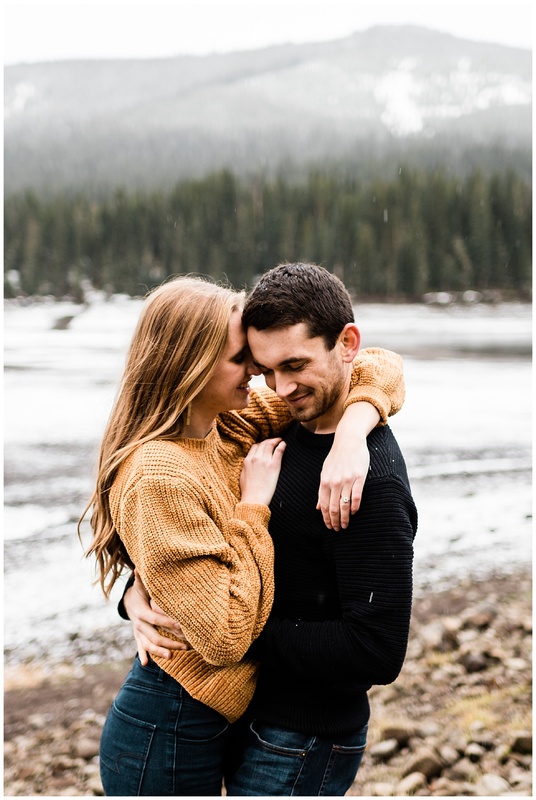 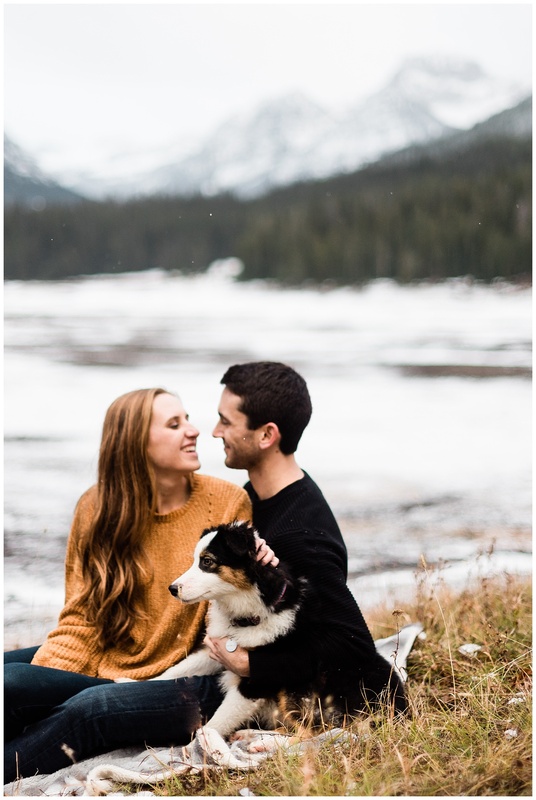 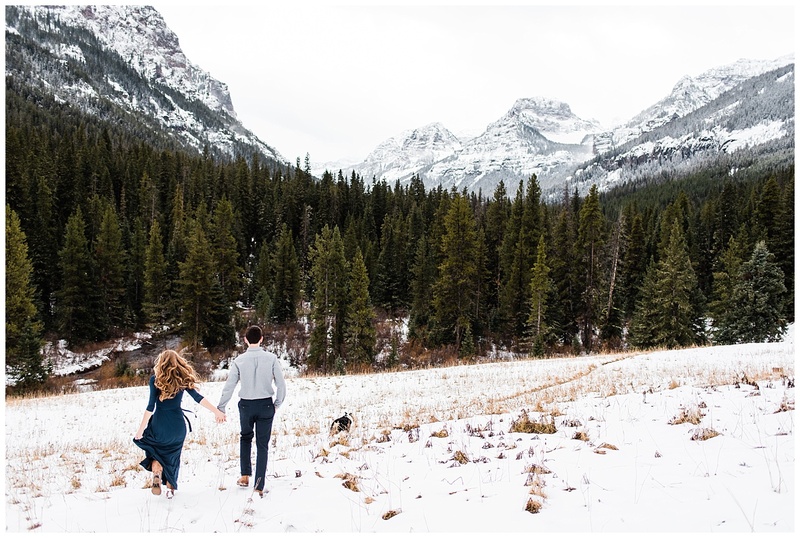 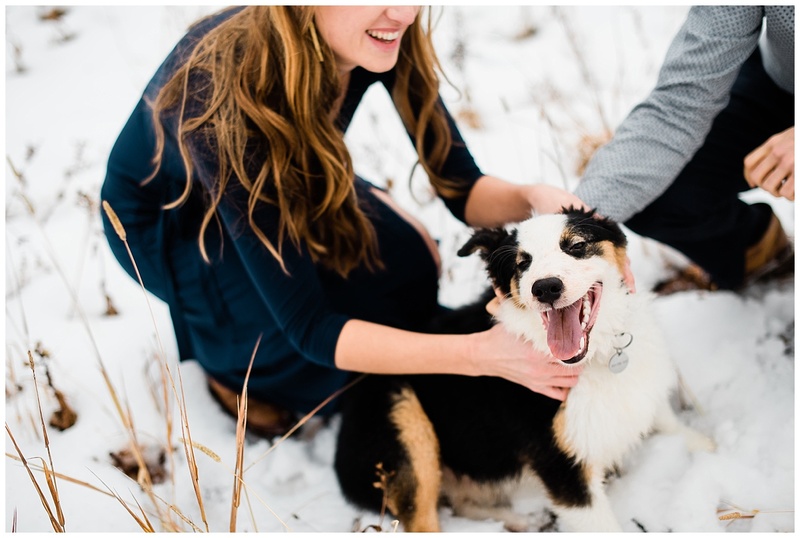 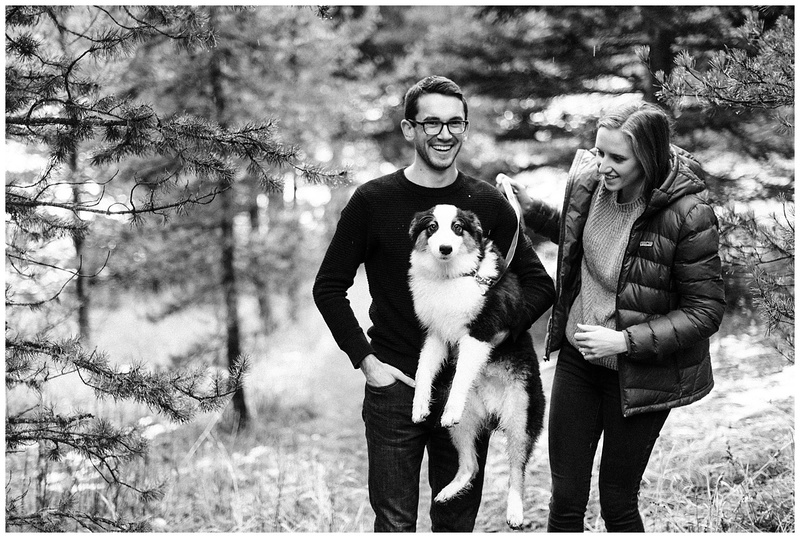 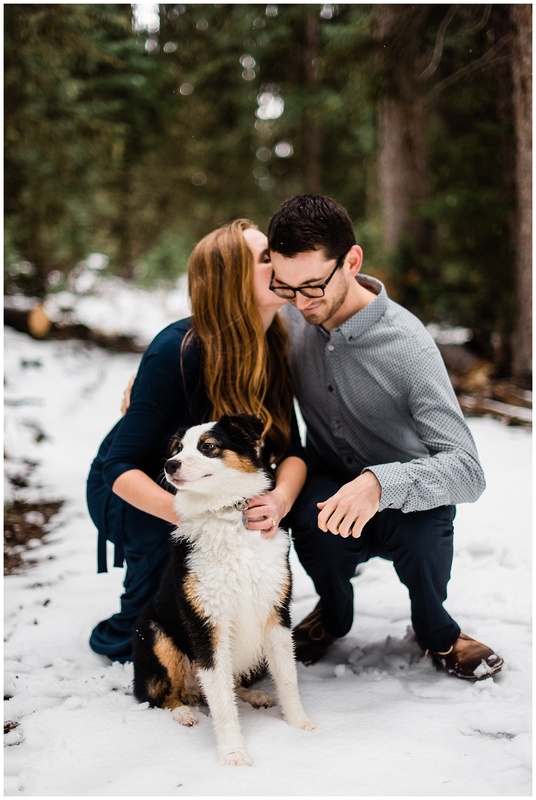 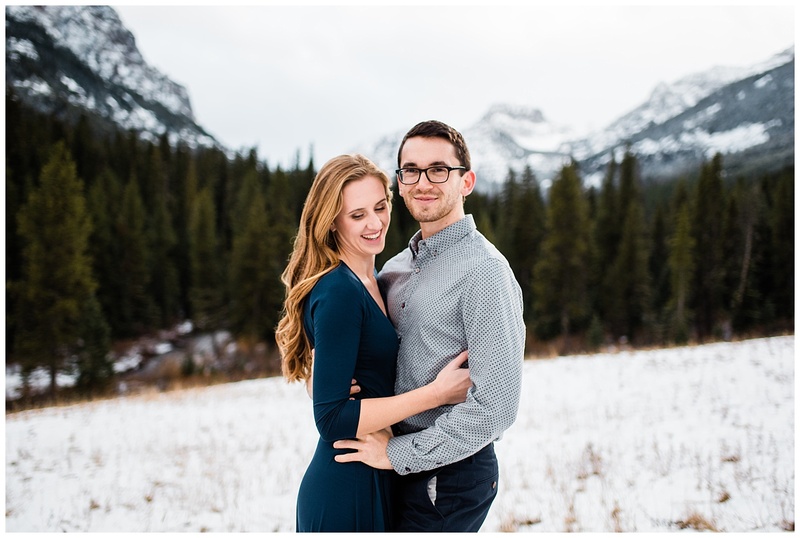 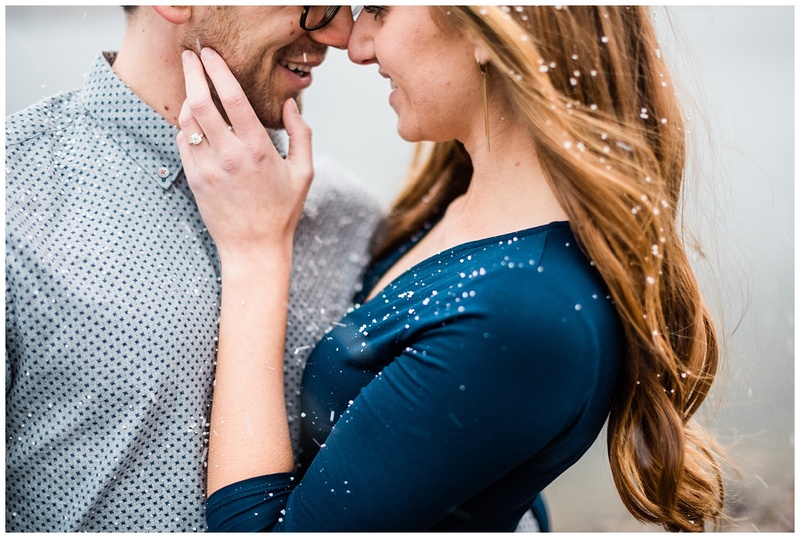 We loved every minute with these two, and we are incredibly stoked to hang out with them (and their adorable dog, who we might kidnap) for their wedding in Bozeman next year!